Information and news related to everything that is LED lighting. 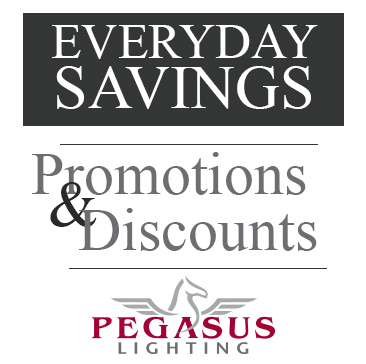 The LED market is in a constant state of change and Pegasus Lighting works hard to stay on top of all the exciting updates in LED lighting technology. With the bounty of Spring upon us and Summer right around the corner, I decided to shine some light on a product that I’ve been itching to unbox: A hanging garden basket with ultra bright solar LEDs. I’m not much of a green thumb (truth be told, I’ve been known to kill a cactus) so I was a bit hesitant to – literally – put a spotlight on my inability to keep anything green alive. A solar-powered LED light is suspended above a hanging garden basket. Kit includes a solar panel, a coconut husk-lined basket, bracket and chains. Automatic dusk-to-dawn solar light illuminates your plant. Provides about 12 hours of warm white light when fully charged. One of the features of solar lights is that they need to be positioned, well, in the sun. But the blazing hot Southern summers (and this non green-thumbed gal) can spell tragedy for plants. I’m much more likely to keep a shade loving plant alive. Thankfully, the remote solar panel can be installed up to 8 feet away from the planter which means I can hang my flowers in a shady area while positioning the panel in the sun for optimal charging. During the course of May, our team celebrated National Home Remodeling month by doing some simple lighting projects around the house and sharing them with our readers. We called it our “Weekend Warrior” series because all of the projects can be completed in a weekend (or less!). In my last post I shared how we installed recessed lighting in our bonus room. Once I installed the LED retrofits there, I was hooked on the quality and energy-efficiency of the lighting. I decided to change out our seven 75-watt PAR30 halogen recessed lights in our kitchen with seven LED retrofit modules. The 7 halogen recessed lights used 525 total watts of electricity. By switching to LED retrofit modules I would reduce that wattage use to 87.5 watts! HUGE energy savings! In addition to the LED retrofit modules, I also changed out my dimmer switch to a Lutron Maestro C-L dimmer. This is the latest project in the Weekend Warrior blog post series, part of our quest to bring our customers unique products and offer creative ideas for DIY lighting projects around the house. For my Weekend Warrior project, I took a boring, ho-hum playroom corner and created a cozy and private reading area for my 9-year-old son, Max. I think every kid needs a place to call his own. A place to curl up and read an adventure novel on a rainy day, or just a place to escape pesky brothers. A book nook. We’ve already got most of the necessary ingredients for the perfect reading nook: a bookshelf full of interesting books, a cozy corner in the sitting area off of his bedroom, and an overstuffed bean bag. All we lacked was a reading light and some wall art. Corners and closets are prime real estate for a cozy book nook. When Pegasus Lighting’s President Chris Johnson heard that his neighbor Greg had installed such a unique solution to his dark pantry problem, he knew it was perfect for our Weekend Warrior blog post series. The Weekend Warrior series is part of our quest to bring our customers unique products and offer creative ideas for DIY lighting projects around the house. For years my family has struggled to deal with an unlit kitchen pantry. It was dark and deep leaving its contents shrouded in spooky mystery. You might reach in for a box of Oreo cookies and come out with a bag of dried organic snap peas. To avoid these frustrating mix-ups we resorted to using our iPhone flashlights or a small battery powered LED puck light – neither of which delivered satisfactory illumination of the pantry contents. This DIY will explain how you can bathe your entire pantry in bright and uniform LED light whenever you open the door. The build is simple and low cost. There are only a few parts and the lighting is powered by 8 AA batteries that should power your lights for more than 15 hours. Typically electricity and water don’t play well together, but modern technology has given birth to lights that can not only get wet, but be fully submerged underwater. Color-changing capability, energy efficiency and custom lighting effects ramp up the cool-factor even more. There’s no end to their creative applications, but I’ve found that some people are prime candidates for these innovative lights. 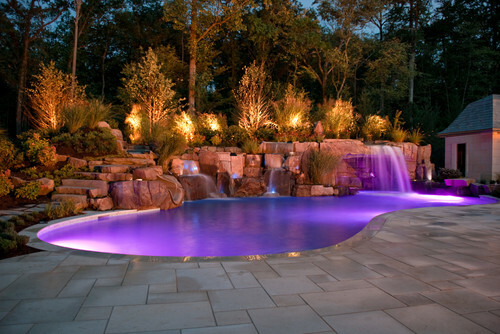 Innovative outdoor LED tape lights like the InvisiLED can be fully submerged in water up to 5 feet deep and offer customizable color effects with a compatible controller. The light is a little over 12” tall (about the size of a large shoebox) and has a metal white washed finish with opaque plastic lenses. 2 Amber LEDs, powered by a solar panel and 1 AA NiCd rechargeable battery (included) provide 360 degrees of light. Dusk to Dawn Operation turns the light off automatically when the sun comes up to save battery life.